Register your kids or yourself as a volunteer! 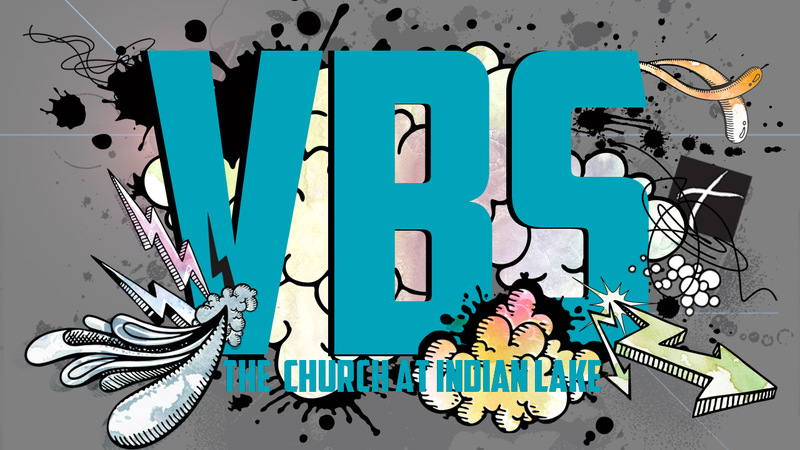 The Church at IndianLakepresents “VBS at Indian Lake” July 11-13, 2011, from 6:00 – 8:30 p.m. Your children will experience a great night of fellowship, dinner and learning as we share the message of Jesus Christ. The event costs nothing – free of charge! Register on-line today at www.indianlakevbs.com to make sure your place at VBS is reserved. The 2011 VBS at Indian Lake will take place July 11-13 (Monday – Wednesday) from 6:00-8:30 p.m. More details, including on-line registration, will come soon! A workers meeting will take place Wednesday, June 22 after church. Mark your calendar for this fun, and important week. The ruins of Smyrna (Revelation 2:8-11) are found in the modern city of Izmir, Turkey. I absolutely loved the scenery of this city of 3.3 million. 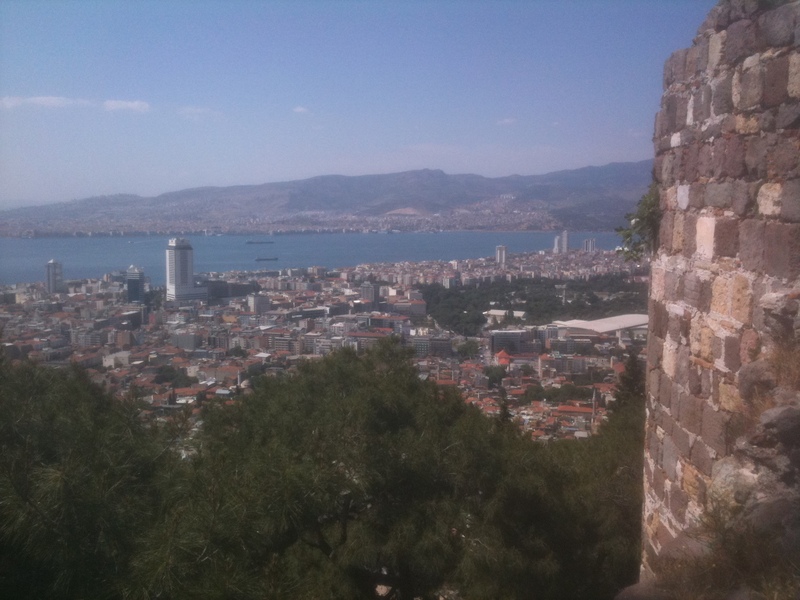 At the ruins of Smyrna, we saw such a gorgeous view of the modern city of Izmir (see pic), which one observer from Turkey called the city the “LA of Turkey.” Still, that’s not the complete story. There’s really nothing left of the ancient city of Smyrna but a sad, crumbling wall in a city park on a hill overlooking the Turkish metropolis of İzmir. Yet our stop at the second of the 7 churches of the Book of Revelation was spiritually charged. We had been warned by our tour guide not to expect much of the ruins here. He didn’t want us to be disappointed that there wouldn’t be any ticket booths, restaurants, or souvenir stands. Of course, we didn’t care about that sort of thing. But we could sense that the longer we traveled together, the more anxious our guide became about traveling with a bunch of Christians. İzmir is the third largest city in Turkey. It’s regarded as the country’s most progressive and dynamic. You see a lot more women and children out in the streets here, and far fewer veils. In fact, it is this modern mentality that, in just the last couple years, has sparked a backlash against Christianity. In 2007, two Turkish Christians and one German citizen were attacked, tortured, and brutally murdered in the Christian publishing house where they worked. The assailants organized themselves as ultra-nationalist defenders of an Islamic Turkey. Since then, Turkish believers across the country have lived under the constant threat of social and political persecution. We met a few such Christ-followers during our vision trip, and it was an honor to hear their stories and fellowship with them. The persecution of Christians is not new to this land. In fact, the walls of ancient Smyrna were the site of Polycarp’s martyrdom at the hands of the Romans in 166 A.D. Legend holds that the elder of the church at Smyrna refused to worship the Roman Emperor and was burned at the stake. It was there that I taught from Revelation 2:8-11, the passage that addresses the church at Smyrna. In it, Jesus commends the church’s faithfulness, but warns them of impending persecution. An ominous forecast of spiritual trials that continue even today. Interestingly, the public park that contains the Smyrna ruins is a refuge for the marginalized Roma (sometimes called “gypsies.”). The hillside was covered with groups of young men playing football (soccer) and large families enjoying the shade. Their reputation as pickpockets and thieves made our guide uneasy. Apparently, there’s something in the Official Tour Guide Handbook about not leading your tour group into a potential robbery situation. 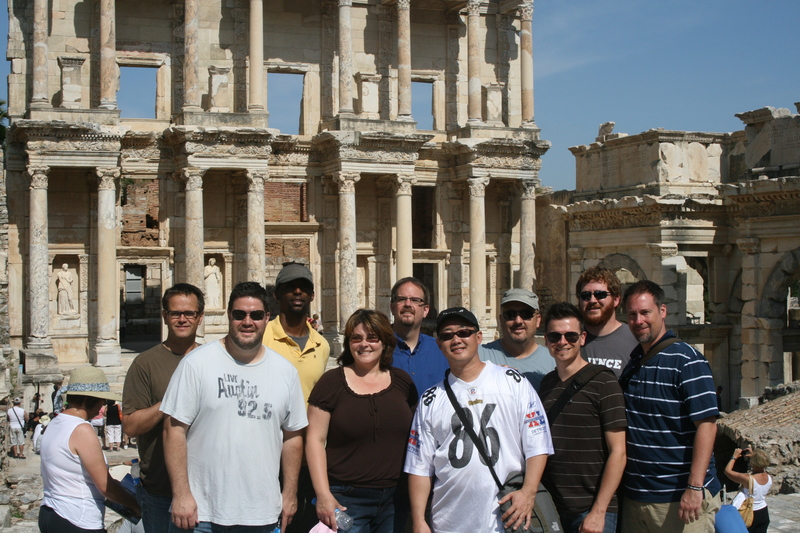 In May 2011, I toured the “Seven Churches of Revelation (Revelation Chapter 2-3)” that are all located in modern-day Turkey with Upstream Collective. Of all the ruins we visited, Ephesus was the highlight of the historical tour. As we walked the marble streets, you could truly imagine what this ancient city was like. In the days of Paul, the city had 150,000 residents and up to 15 percent of the ruins have been recovered, making it a true historical treasure. 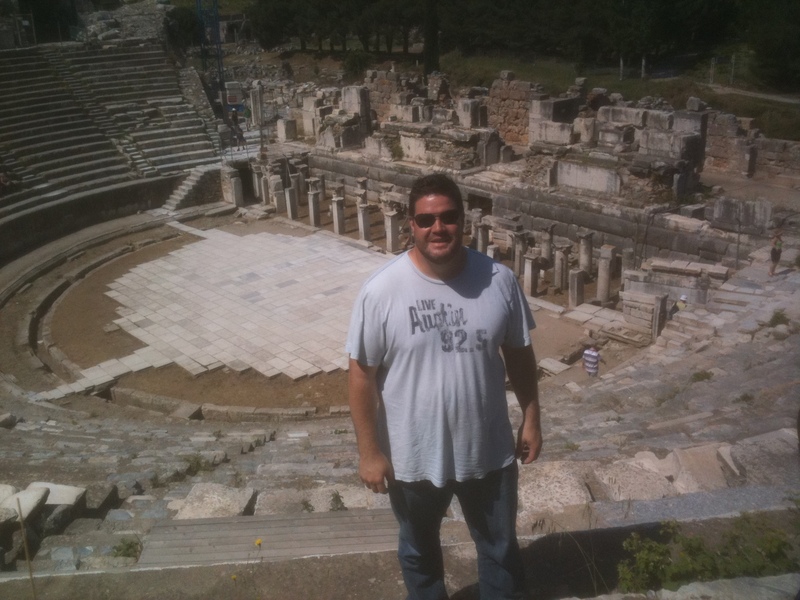 The picture here is of me at the amphitheater that seated 20,000 people! As a young pastor I have drawn strength from Paul’s instructions to another young pastor named Timothy, who lead a congregation in Ephesus. As I walked the city, I imagined the people Timothy was leading in that pagan environment, and I felt a similar challenge today. Anyone who’s ever visited any site of religious or historical significance knows to expect trinkets, tchotchkes, and $4 bottles of water. Ephesus, outside the modern Turkish city of Selçuk was no different. As we approached the entrance to the ruins of the ancient city, one vendor called out in English: “Two tourists died yesterday of heat exhaustion! Buy this hat to avoid the same fate!” This is marketing. As we explored what’s left of the streets of Ephesus, we saw temples built to various gods and emperors. We passed the remnants of workshops, libraries, brothels, and public baths; the context of the Apostle Paul’s rebuke of the city’s idolatry (Acts 19). Our small group of pastors and church leaders recognized them as the very same challenges we face in ministry today. As called-out ones living in societies that celebrate idolatry, materialism, human knowledge, and sexual sin, how do we engage? Have we, like the Ephesian church warned by Jesus in Revelation, hunkered down in defensive perseverance? Our tour included a remarkably well-preserved Ephesian housing complex. This sprawling maze of living quarters, work spaces, and dining halls would have been host to gatherings of early Christ-followers before the times of large church buildings. As we explored, we felt a real sense of the history of it all; our history as believers trying to sort out what it means to live out our faith in the context of the cultures in which we find ourselves. The highlight of our stop in Ephesus wasn’t among the ruins of the old city. It was the time spent drinking coffee in the St. John Cafe in Selçuk. There, we visited with the owner, who is one of maybe three-thousand Turkish Jesus-followers. We were encouraged by his journey of faith and his fearlessness in the face of persecution. In the face of idolatry and opposition, may our churches be relentless in the pursuit of our first love, Christ Jesus. I spent today with my seven year old, Lincoln. We ate breakfast out, visited the Old Hickory dam, went to the mall (spending most of our time at the playground), played games at Chuck E. Cheese, then looked at books at Books-a-Million. We ended the night in the swimming pool. There are lots of times the ministry takes me away from my family, so I try hard to make the most of days like today to redeem the time. I am so grateful for a church body that affirms this value and respects my family life. I don’t like to brag (as the Bible warns about pride), but CIL really is the best!